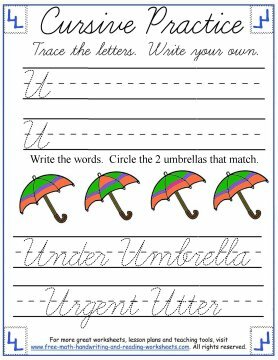 The cursive handwriting worksheets below will finish out the unit on uppercase letters. 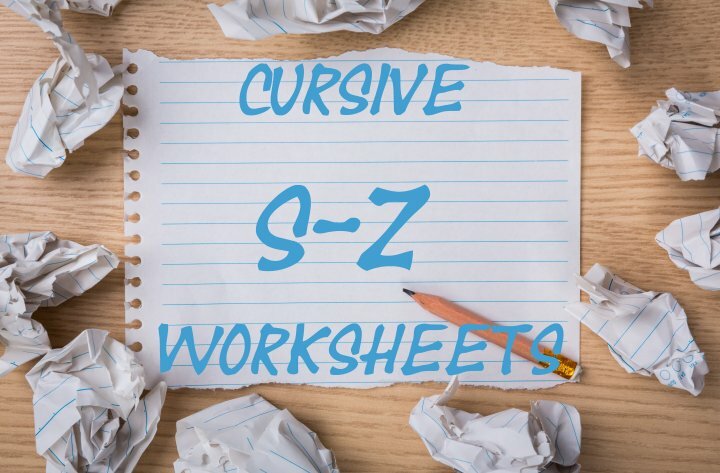 If you've been going through the lessons from the beginning, your child should be able to write all of the uppercase cursive letters from A through R. This final set will focus on S-Z. 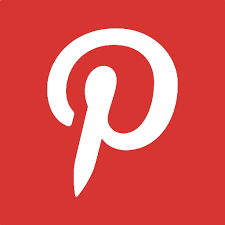 If you find that your child (or student) needs more practice, you can always go back to the previous lessons using the links below. 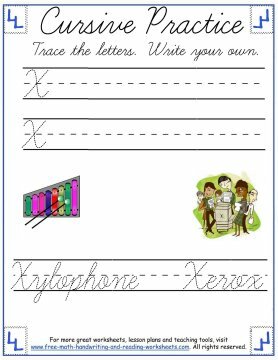 You can also create your own lessons by printing out these free 3-lined paper templates. 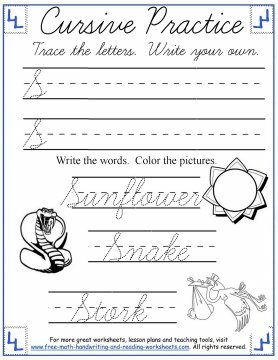 To print your worksheets, click on the pictures below. This will open a PDF file in another tab. 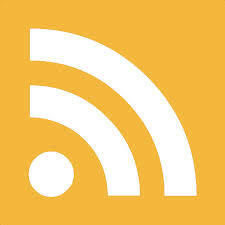 From there you can download and then print out the papers. 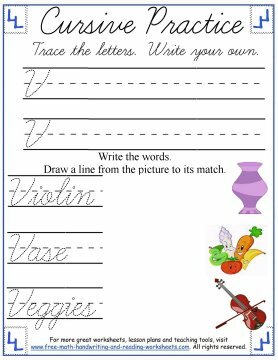 Each handout features two lines of handwriting practice. The first letter is given so that students can trace. The rest of the space should be used for practicing the letter freehand. Below the letter practice is a short activity. 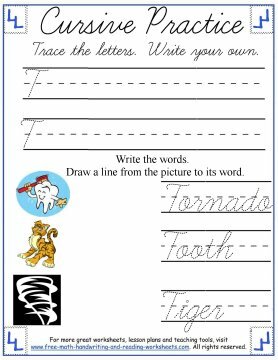 Each paper has a different type of task that reinforces the cursive letter. 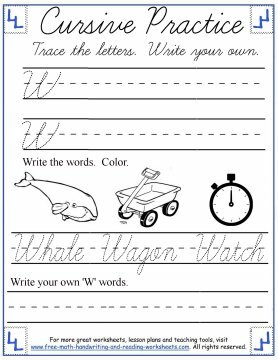 Some of the worksheets include simple coloring tasks where your child will need to write the words given and then color in the objects. See the S and W papers. In other pages there are four objects that are very similar, however, only two are exactly the same. Circle the items that are identical. See U and Y. 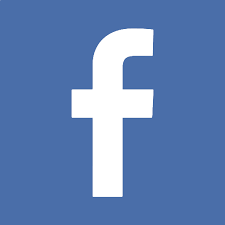 The other activity shows three pictures and three words. 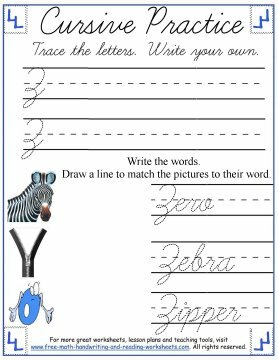 Have your child write the words shown and then draw a line to the matching pictures. See T, V, and Z. 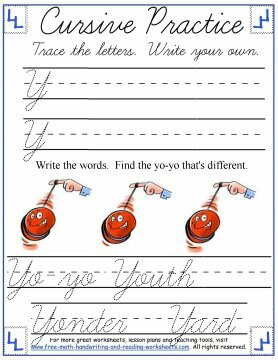 For more cursive handwriting practice, see the lessons below.